A ghostwriter is paid to write for someone else under that person's name. It is most commonly associated with publishing a book, but today it is also widely used in public relations, corporate communications, social media, and many other industries and fields that are producing greater and greater amounts of written or spoken content. Though best-known for their literary endeavors, ghostwriters lend their talents to a variety of projects, producing all sorts of material. Books: Throughout the history of publishing, politicians, business leaders, and other busy public figures have relied on ghostwriters to help them turn their ideas into polished works. More recently, thanks to the self-publishing revolution, an even wider assortment of authors are using the talents of others to produce business how-to books, self-help books, memoirs and even cookbooks and novels. Speeches: In addition to books, ghostwriters are most often hired as speechwriters. Every President in U.S. history has had a speechwriter—in fact, often a team of them—at his disposal. Members of Congress and CEOs have also long used professional speechwriters to help them find the right words to win votes and build businesses. Now, with the growing popularity of TED-style conferences and the media platform they provide, more and more executives are joining the fold. Increasingly, businessmen and businesswomen want to be seen as thought leaders. So, they're turning to wordsmiths to craft the perfect messages for them. Corporate Communications: In this era of specialization, large and small companies alike are turning to experienced writers to craft their annual reports, quarterly statements, white papers, newsletters, website content, and corporate histories. Social and Digital Media Content: An active online and social media presence have become essential for the leaders of corporations, small businesses, and non-profits, as well as celebrities. The people behind these brands don’t have the time to constantly update their Twitter, Facebook, Instagram, and website blog feeds, so they typically employ a digitally savvy ghostwriter to curate accounts and provide content. When it comes to books, most ghostwriters don’t receive any recognition beyond a "thank you" in the acknowledgments section. In many cases, they are asked to sign nondisclosure and/or confidentially agreements, especially for high-profile projects. Some ghosts, though, do get publicly credited on the cover as a co-writer (either with an “and” or “with” after the author's name). When it comes to speeches and other kinds of content, ghostwriters are truly invisible and are never acknowledged. When you hire a ghostwriter, you’re paying for his skill, experience, and time. The cost varies greatly depending on the project, the caliber of the writer, the complexity of the subject matter, the budget, and more. Someone who has won a Pulitzer Prize or worked as a White House speechwriter is going to command a higher rate than a recent college graduate. Writing a book from scratch involves more of a writer’s time, and therefore costs more, than fleshing out a short e-book or polishing a partially written manuscript. A client who’s looking to have a full-length book written can expect to pay anywhere from $20,000 to $200,000—and up. A short e-book could cost anywhere from $2,000 to $12,000. Again, every project is different. The time-frame depends on how much source material has been compiled, how much additional research has to be done, and how many drafts are needed to capture the author’s voice. Some projects, like speech writing and corporate communications, are driven by firm deadlines and often have quick turnarounds. On the other hand, book projects, especially serious, idea-driven works, can take months and sometimes years to complete. 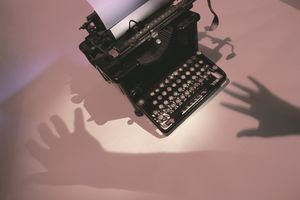 Corporations, organizations, and well-connected public figures often go through a literary agent or a PR firm to find an elite ghostwriter. But for most others, the internet is the best place to start. Some popular online resources for finding professional freelancers include Mediabistro, Elance, and Craigslist. Or, you can connect with a firm that specializes in ghostwriting such as Gotham Ghostwriters or 2M Communications. There are many things to consider when choosing a ghostwriter to assist you. Budget: How big a fee you can pay will likely determine the level of expertise you can expect. If you're new to the ghostwriting game, you may want to read more about what you can expect to pay for editorial freelancers. Credentials: You will also want to consider the work a writer has previously done. Ideally, you want someone who has worked on similar projects, which should make your project go more smoothly. Request résumés and writing samples from writers, so you can see their credentials and the work they've produced. Also, be sure to ask for several references—and contact them. Interview: Once you’ve got a short list based on skills and experience, spend some time talking with the writes to get a sense of who she is, how she works, and if you'll be compatible. After all, you’ll be spending a lot of time with this person, and you may be sharing intimate details about yourself. Generally speaking, your ghostwriting relationship should be a highly collaborative one. The most effective ghostwriters are the ones who can help you produce the best version of your vision. To do so, they will often conduct extensive recorded interviews to get a sense of your voice, style, and personality. As with any relationship, open communication, clear boundaries, and manageable expectations are key to avoiding conflicts and keeping the work flowing.